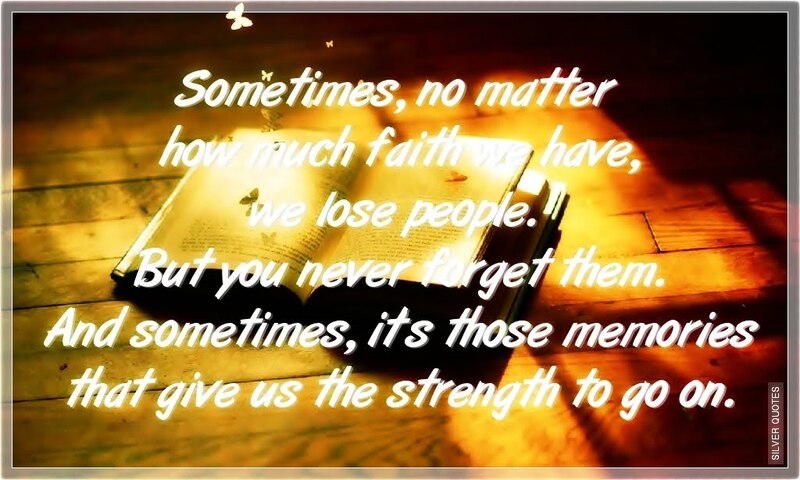 Sometimes, no matter how much faith we have, we lose people. But you never forget them. And sometimes, it's those memories that give us the strength to go on.